That song is just so catchy and it happens to be the prime colors from our wedding this past weekend. 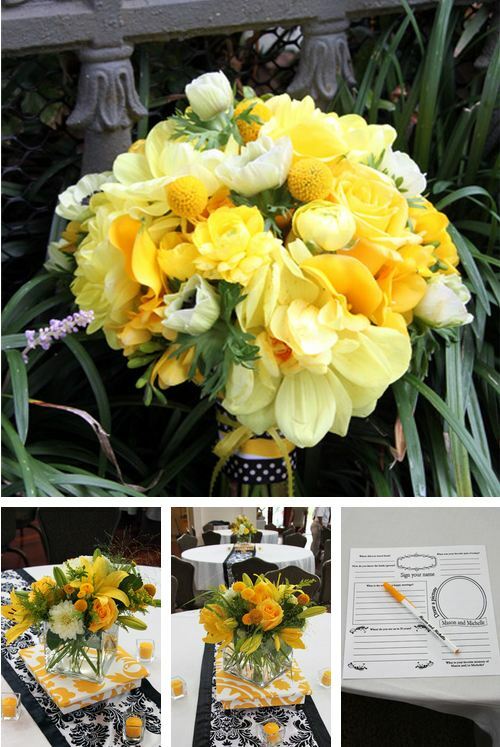 We absolutely love the yellow flowers with the black damask table runners! Each guest had a custom mad-lib style piece of paper at their place setting where they filled out quirky memories and tidbits about the couple. What a cute idea!